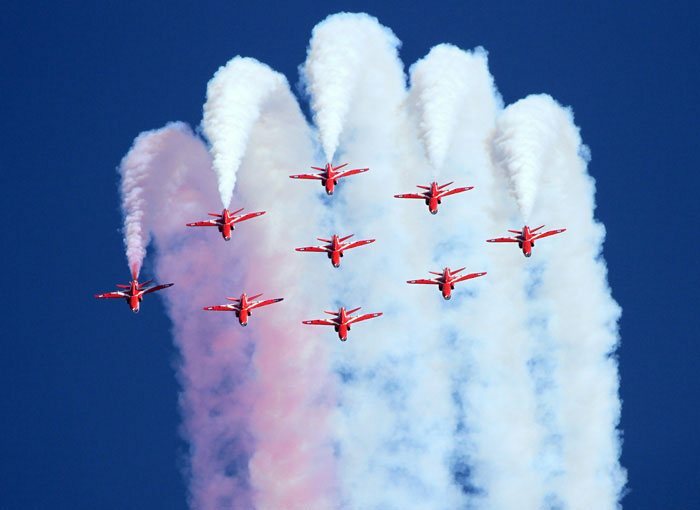 One of the longest-running seaside airshows, this will be the 31st Sunderland International Airshow. Activities start on Friday evening and continue all day Saturday and Sunday, with flying displays and arena events. Expect a very good military presence in the air and on the ground with RAF, Army and Navy military villages as well as the usual craft and trade stands. The first flying display to be announced for the 2019 show was the Swiss Air Force PC-7 Team in their nine Pilatus PC-7 Turbo Trainers, whose performance at Sunderland was their only UK display booked for the 2019 season at the time it was announced in January. This free seafront airshow celebrates its 30th anniversary this year. Activities start on Friday evening and continue all day Saturday and Sunday, with flying displays and arena events. "We are all looking forward to the 30th Sunderland Airshow, an event which the people of our city and the region have really taken to their hearts to help make it the success that it has become. Generations of families have grown up with the Sunderland Airshow with literally millions of visitors coming to our city over the last three decades to share and enjoy the spectacle. Everyone will have their own favourite memories of the event, and hopefully we'll create a few more new ones this year." "Our flying partners at the RAF are already preparing to take to the skies over our beautiful coastline in the last weekend of July. What makes our 30th Airshow event even more special is that it will also allow us to share in the 100th anniversary of the event's greatest supporters and most popular attractions - the Royal Air Force - whose centenary it is this year." The BBMF have cancelled their Friday display because of the weather at their base and anticpated conditions over Sunderland. The full programme is on the show's web site. click any text in this box to go there. Crowd favourites from the RAF: the Red Arrows, Typhoon, RAF Falcons parachute display team and Battle of Britain Memorial Flight are all scheduled to play a part in this year’s Sunderland Airshow, as are the Tutor Display Team who are returning to airshows after a short absence. 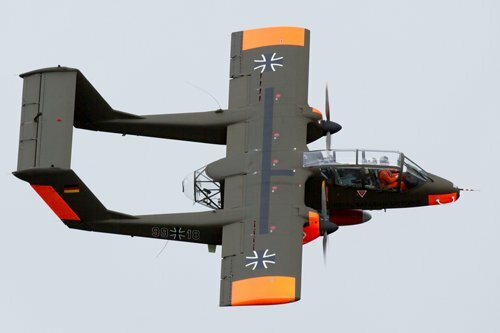 A number of civilian aerial displays are also confirmed, including some new attractions eager to excite the crowds at one of the country's best known and well attended airshows. This includes the 'Otto' helicopter pyrotechnic display team who will join the Fireflies and Twisters to literally light up the skies above the seafront on opening Friday night again with their airborne fireworks. Also making their Sunderland debut the next day will be Team Raven, a six-ship formation aerobatic display team. They join display acts such as The Blades, Bronco and the AeroSuperBatics Wingwalkers with the return this year of the MiG-15, Vampires, Blenheim and Peter Davies in his Autogyro. The latest flying display list is in the table. Free seafront airshow starts on Friday evening and continues all day Saturday and Sunday, with flying displays and arena events. There will be a very good military presence in the air and on the ground with RAF, Army and Navy military villages as well as the usual craft and trade stands. Returning this year to display on all three days the RAF Typhoon Team will join a wide range of aircraft and display teams including the Battle of Britain Memorial Flight and The Royal Air Force Aerobatic Team, The Red Arrows. These will be joined on both the Saturday and Sunday by the RAF Falcons and RAF Tutor display team. "The RAF Typhoon Display Team is once again thrilled to be participating at the Sunderland International Airshow. Each year we are delighted to display over the spectacular coastline at Sunderland. "As for me, this will be my first display at Sunderland and I’m really looking forward to experiencing the atmosphere and welcome that the city is known for." This free seafront airshow got off to an excellent start with a truly welcome return to airshows of the BBMF's Lancaster, accompanied by her fighter friends. The joy of seeing the Lancaster back in the air after such a long absence from public shows set her display above even the impeccable Red Arrows. The Eurofighter Typhoon was also in thrilling action with its first dusk display of the season. These RAF displays launched the 28th Sunderland Airshow, supported by music from the Band of Her Majesty's Royal Marines Portsmouth and the Rat Pack Boys. Then, as the sun began to set, both the Twisters and AeroSPARX lit up the skies with their LED lights and fireworks off the wings. If that wasn't enough fireworks, there was a land-based firework display to close the evening. The music that accompanied the display by the Twisters has proved popular. It is a remix of Miko's Leave the Lights by GuyMac, a DJ and producer, who happens to be the son of commentator Peter McNamara. On Saturday the weather was fair but the forecast for Sunday suggested less clement weather, getting worse as the day progressed. In order to give the displays the best chance of flyable conditions, the programme for Sunday was brought forward by one hour. This flexibility worked out very well and, as a result, over the weekend all displays went ahead, with the exception of the Lancaster, whose displays on Saturday and Sunday had to be cancelled. The RAF Falcons parachute display team have not missed a Sunderland airshow in all its history and they maintained that record to open the weekend's events at this, the 28th show. But it was the other parachute team, the Tigers, who were involved in one of the most talked-about incidents, when one of their number, Team Leader Cpl Frank Millerick, appeared to crash into the sea. In fact he had to release his parachute and flag because of a 'line over', and deployed his secondary parachute, landing safely on the beach. The parachute and flag that fell to the sea were later recovered by the Sunderland RNLI. Most of the flying events were held on both of the weekend days, with the exception of the Dutch B-25 Mitchell 'Sarinah', which displayed on the Sunday only, and the MiG-15, which joined the Vampires for a flypast on Sunday only. The Chinook had been listed to fly on Saturday and Sunday, but this very popular display was cancelled by the Chinook Team. The full schedule of flying displays will not be repeated here, but is detailed in the table. HMS Bulwark was anchored off Sunderland, providing a spectacular backdrop to the show and participating in the landing of craft in a demonstration by the Royal Marines of 4ASRM, the Queen's Own Yeomanry and 4th Regiment Royal Artillery of amphibious action against 'enemy' beach positions. Unfortunately, some unexploded pyrotechnics were left on the beach, which caused the beach to be closed for much of Sunday whilst they were dealt with and gave a few people cause for concern, especially as the beach had been open the previous evening. These incidents will no doubt be reviewed and measures taken to secure against them in 2017. Overall, an excellent and varied show in sometimes difficult conditions. The nearest main road to the flying line is the A183, Whitburn Road. Use sat nav SR6 8AB until you get close, but ignore the sat nav in favour of local directions signs as soon as you see them. There are links to route planners in the Travel Advice column if you prefer to plan ahead or don't have sat nav. Sunderland is about ½ hour from Newcastle by National Express, 45 minutes from Middlesbrough and 2 hours from York. There are services to many other parts of England and Wales. Sunderland is about 20 minutes from Newcastle and to there about another hour from York, 1½hours from Edinburgh, 2½ hours from Manchester or 3 hours from London. Local buses run from the station to the airshow or you can take the metro to Seaburn, which is about 15 minutes walk from the centre of the flying line. Click the blue Expedia name for a list of hotels and guest houses near the show. The venue is already built into the both link, so when the list comes up you just have to enter your dates and adjust, if necessary, the number of rooms and guests. The International Hotels Group do not have any Holiday Inn or Holiday Inn Express hotels in Sunderland itself, but there is a Holiday Inn in Washington, about 9 miles away, and a Holiday Inn Express in Newcastle, about 12 miles away. There are three Premier Inn hotels in Sunderland.